Long before the indie rock band, Local Natives, crooned about the notable New York City dwelling, Manhattanites at the turn of the 20th century had a very different vision of the urban space. The landmark that rests on the Lower Eastside of Manhattan is presently the home to luxurious hotels, million dollar apartments, small upscale retail stores, and nightlife entertainment. However, if you paid a visit to the area south of midtown east a little over 100 years ago, you would find what you came across to be strange and slightly disheartening. 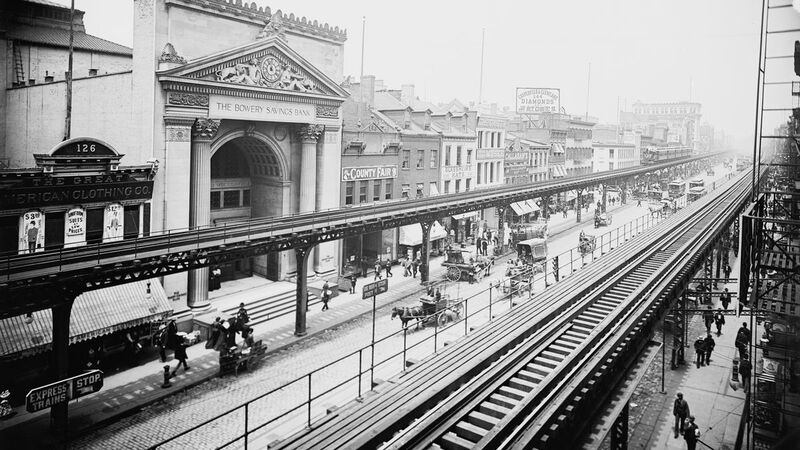 For about three decades, the Bowery found itself under the dark cast of the Third Avenue El. The elevated railway opened on August 26, 1878 by the New York Elevated Railway company an independent rail way company. The Third Avenue El began at South Ferry station to Grand Central Depot. It eventually was extended to Harlem. Although the train was a solution to the transportation issue within Manhattan at the time, wealthy Manhattanites who frequented the Bowery area were put-off by the exhaust and noise of the rumbling mechanical car. Soot and grease covered shop windows, angering owners and willing them to move away to more business friendly areas. The Bowery wasn’t always questionable shops and destitute “criminals”. In the late 17th century the Bowery was inhabited by the Dutch and was at first developed into farmland and then eventually built up into more resident friendly businesses. Theaters, banks and mansions of well-off residents adorned the streets and provided entertainment. This changed drastically toward the end of the Civil war. The mansion and shops drifted away and were replaced by cheap flophouses, saloons, brothels and pawnshops. The area became stricken with poverty and a haven for derelicts and the destitute. The Bowery’s dissension into poverty eventually gave it the name Skid-Row. The main residents didn’t help the sordid reputation and merely made the vice ridden area one of the most interesting yet unappealing places in New York City at the turn of the century. After 1970, the occupation of vagrants and the poverty stricken reputation of the Bowery subsided significantly. This attributed largely to new plans for housing and the development art based facilities dedicated to preserving the history of the LES. Significant steps have been made to protect the past of the city’s oldest streetscape. 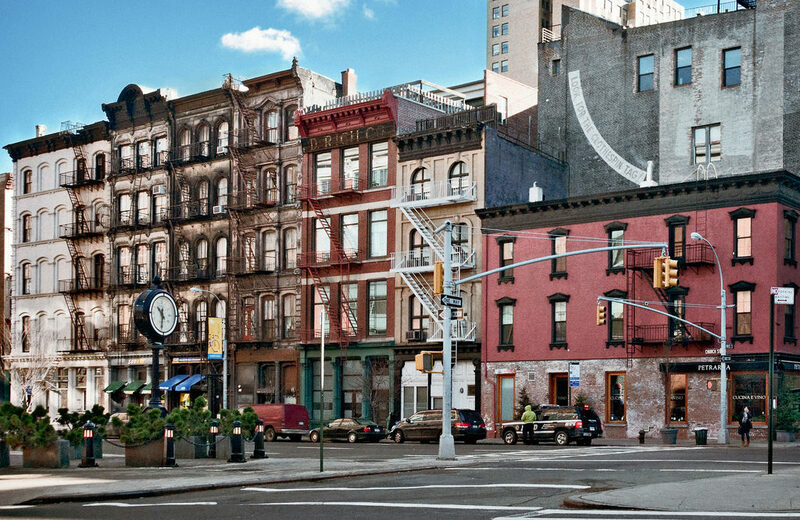 Back in 2013 the Bowery was officially added to the National Register of Historic Places, solidifying it is a prominent and memorable part of New York Culture.